Since AirBnB entered the market around 2008, it changed things for travellers. AirBnB provided a marketplace that allowed people who are known as hosts to rent out they’re own properties on a short-term basis. Now these properties range from apartments, townhouses, houses, hostel beds and hotel rooms. As for the traveller, they were no longer restricted to either hotel or hostel for they’re accommodation. Now they could choose a townhouse, apartment or something unusual like a farmhouse. If you’ve yet to experience AirBnB, click here to sign up. You’ll earn a free $40 credit just for joining and taking a trip. I use it regularly from a week-long stay in a townhouse in Chiang Mai or for short stay in Rome. It’s something I will continue to use in future trips. 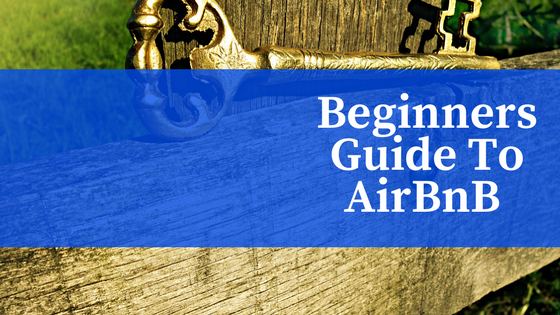 There is always dos and don’t with using AirBnB but using AirBnB can be a strange experience when using it for the first time and hopefully this beginners guide to AirBnB can help in using AirBnB to find your prefect place. This is pretty straight forward, you can register with your Facebook, Google or email account. Once you are registered, there is a verification process required before you can use AirBnB. Verification requires to verify your email, phone number and provide photo ID. The reason for the strict verification is that the hosts renting out their property to you, want to be sure that you are who you say you are. This is a pretty obvious one, like a hotel there is nothing worse than been in the middle of nowhere or even in a questionable area where you don’t feel safe. Always double-check the location and do the research of the area. Also check the reviews from previous guests, there may be comments about the area and general facilities. Research the transport options for the sights you want to visit on your trip, and ensure its convenient and cost-effective from the location. It not a hotel, so there’s no reception or any on-site assistance. When I was using AirBnB I always needed WiFi and a washing machine. By using the search filter functions you can narrow the search down to what you need. Really, It’s your responsible to check the facilities listed very carefully and read the description of the property. Even confirm with the host about the facilities. This is another pretty obvious one, by reading what the previous guests have to say can give you an inside what the property and general facilities are like. Contact the host before booking as not all properties can be booked instantly. Check availability and somethings you want to do. Normally they reply quickly and approve. This makes the booking faster. If not availability you will get a message from the host stating that they’re fully booked. If it’s a very slow reply or no reply more than likely not available. 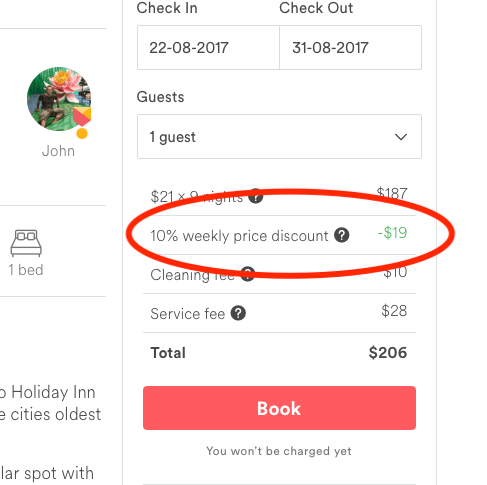 Some AirBnB hosts offer discounts if your stay for a week or a month. So keep an eye out for the discounts. Beware of the extra fees that will be applied. 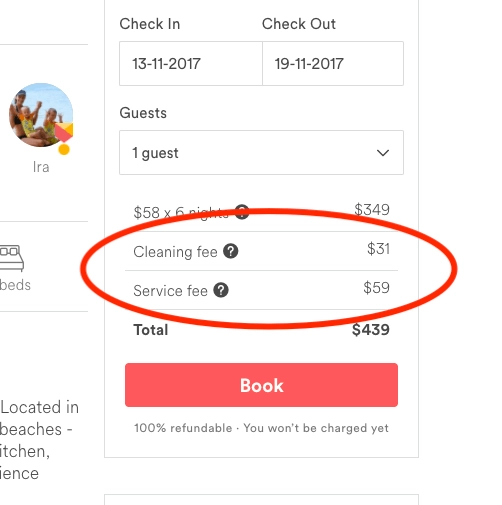 There is a AirBnB service charge that applies to all bookings. Most hosts charge a cleaning fee. A few places require a security deposit but it is rare. Read the small print. This should be obvious, only pay through the AirBnB website. There is scams on Airbnb with hosts asking to be paid by some external way. You have no comeback with Airbnb if you pay by some external way. The hosts can opt for a ‘Flexible, Moderate, or Strict’ cancellation policy, and their choice will be very clearly marked in the rental information. Always read the small print. Remember the host can review you too so leave the place reasonably tidy when leaving. Finally, if you’re not happy, don’t be afraid to reach out as AirBnB who have a Resolution Centre to resolve problems that may occur if the like host cancels unexpectedly. If you use this guide on the beginners guide to AirBnB, your experience using AirBnb will be a positive. If you’ve yet to experience AirBnB, click here to sign up. You’ll earn a free $40 credit just for joining. And that’s it for now! Let me know if you have any questions and let me know if you go too. 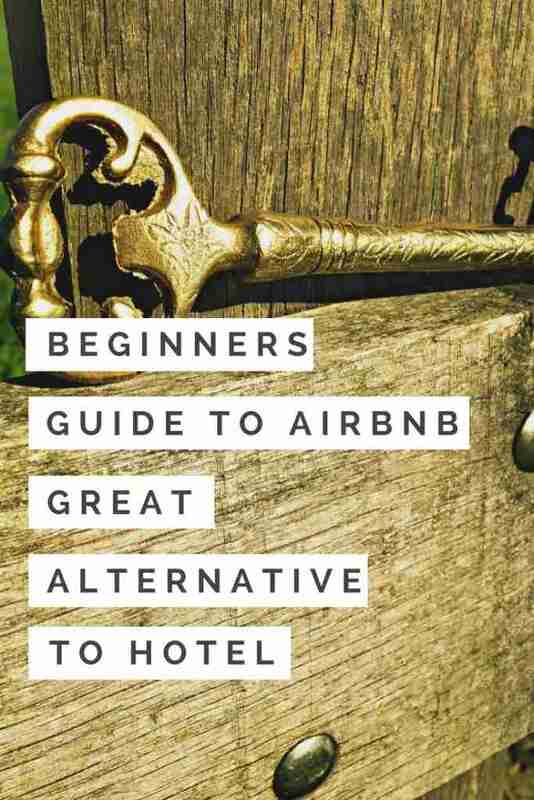 I’d love to know if this guide on the Beginners Guide to AirBnB has helped you.